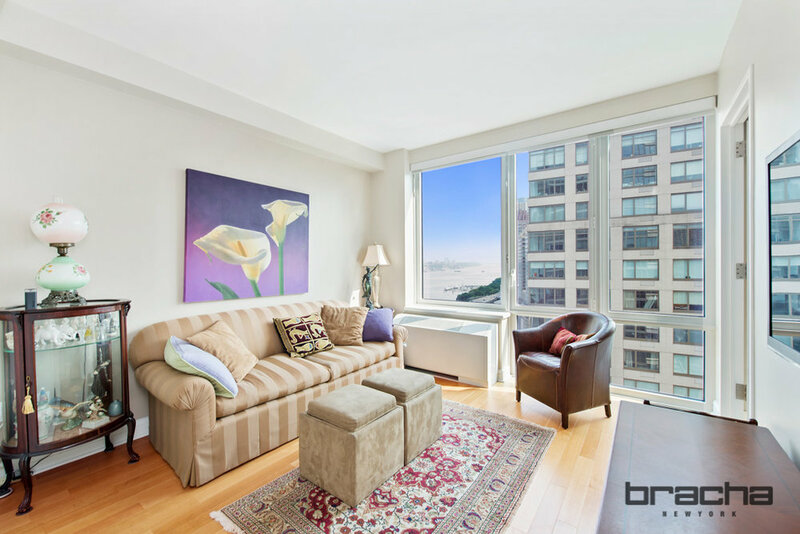 Welcome home to this immaculate, floor-through residence in The Rushmore at 80 Riverside Boulevard. Grand floor-to-ceiling windows span the length of the living room, showcasing serene and immersive views of the Hudson River. The kitchen has custom cabinetry, Pietra Cardosa counters, a Sub-Zero refrigerator and separate wine cooler, and a Viking stove and microwave. The kitchen has a convenient eat-in dining space and also leads to a formal dining area. 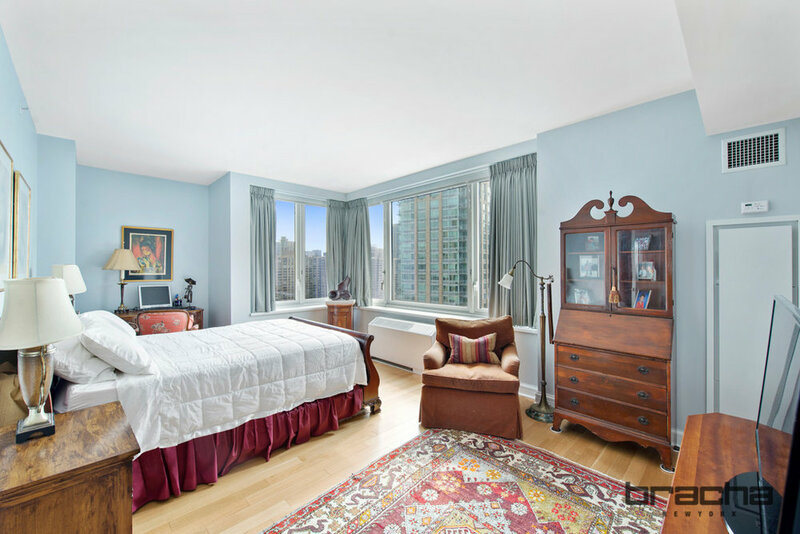 Each of the three bedrooms have a private bath and generous closet space. The master suite has a dressing area that is built-out with gorgeous cherry cabinets for storage. The master bath features a double vanity, deep soaking tub, separate glass shower, and a floor-to-ceiling window with city views. The apartment is also equipped with a half bath and a washer/dryer in unit. The Rushmore offers the utmost sophistication with resort-level amenities including concierge service, full-time doormen, a full-service garage, a La Palestra designed Health Club and Spa with an indoor swimming pool, children's playroom by Kidville, billiards room, screening room, entertainment room, bicycle room, on-site storage, garden lounge, roof deck and shuttles to public transportation. It is located in the cultural arts mecca of Manhattan - Lincoln Square and just steps to Lincoln Center for Performing Arts, the David H. Koch Theater, Julliard School, and the Metropolitan Opera House.